Robert Downey Jr. makes his North American TV commercial debut in this new 72andSunny spot for Call of Duty: Black Ops 2, directed by none other than Guy Ritchie. But the guy getting most of the love for his cameo is FPSRussia, aka Kyle Myers, host of those insane firearms videos on YouTube. iJustine also appears in the clip, which certainly makes the most of its web celebs. ("Where's Joseph Jaffe?" was the salient question just posted to me by David Griner.) French actor Omar Sy appears as well—along with many other folks we don't recognize. Feel free to help us out. 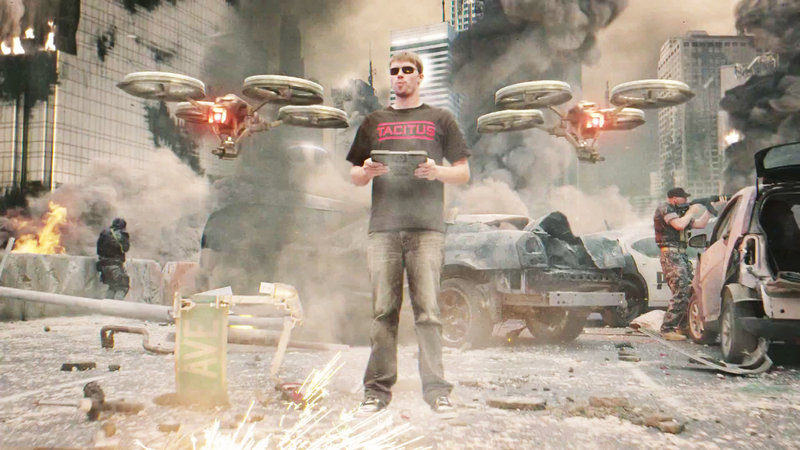 FPSRussia got involved with Black Ops 2 in the spring, when he posted a video review (posted after the jump) of the futuristic Quadrotor weapon, available in the new game. The latest spot continues the Black Ops tradition of flashy ads, which have included Kobe Bryant and Burger Man, and that crazy zombie spot.